On this day, the date of his birth, I imagine our ancestor would love more than simple memorial. Instead, he would demand reflection upon what his teachings meant for not only the individual but our collectivity. I’ll begin: Beneath the video is on Malcolm’s calls for unity in the African Diaspora. For many years, I have personally struggled with loving “the roots” of the tree. Having encountered great resistance to being African-American and desiring to be considered “African” by my continental brothers and sisters, I became embittered with our Continental brothers and sisters. However, in interrogating my prejudices and perceptions, I found that my prejudgements were largely based on limited sight and an incomplete view of the ways in which colonial history continues to permeate the thinking of Africans throughout the Diaspora. Over the past year and continuing this year, I will continue to draw greater connection with the continental Africans of present, not just conceptions of our ancestors from the Continent. 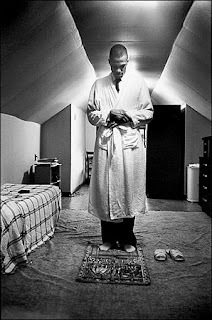 Thank you Brother Malcolm for taking the time to share your words, works, and worship. Rest in Peace.